South Korean tech giant Samsung looks to have revealed some of the first blockchain partners for its upcoming flagship cellphone, the Galaxy S10. 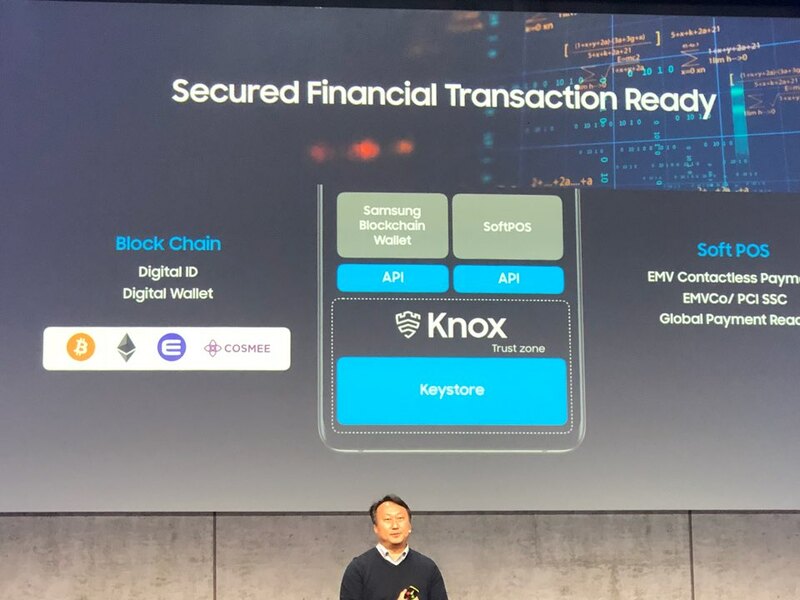 At its Samsung Mobile Business Summit session at MWC Barcelona 2019 on Monday, the company presented the new phone’s Blockchain Keystore to affiliates and customers, displaying a picture that included the logo for Cosmee, a beauty community service dapp (decentralized application) from the Cosmochain crypto project, as well as that of the Enjin crypto gaming platform. As reported by CoinDesk Korea on Tuesday, while Samsung did not disclose precise details of the partner services, they are likely to be featured on the phone at launch or soon after. Cosmochain has reportedly confirmed the relationship with Samsung. Developed to connect beauty industry companies with customers, the project incentivizes users to create content such as reviews with rewards in its ethereum-based ERC-20 token, cosmo coin (COSM). Cosmee users can save their cosmo coins directly in the Galaxy S10’s crypto wallet, according to CoinDesk Korea. While the Enjin logo was also displayed at the event, its partnership with Samsung hasn’t been confirmed. However, promotional shots tweeted Monday also showed a wallet app on the S10 that looked identical to the Enjin offering. Enjin is a cryptocurrency project targeting the gaming industry. It offers a platform for blockchain game development, as well as tokenized in-game goods and an ERC-20 token called enjin coin (ENJ). According to CoinDesk Korea, a person familiar with the S10’s technology said Samsung has been in discussions with Enjin for about six months. Being able to store the tokens for both projects in the S10’s wallet app will likely make it easier to use the apps, the report adds. Editor’s note: Some statements have been translated from Korean.